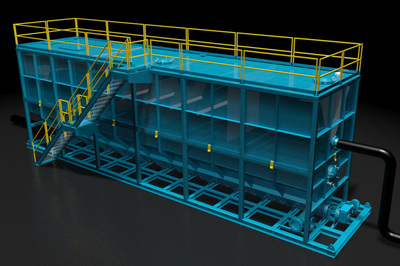 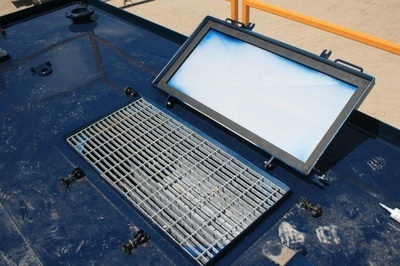 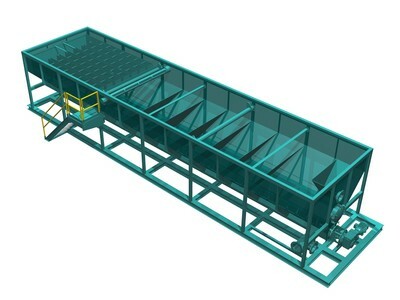 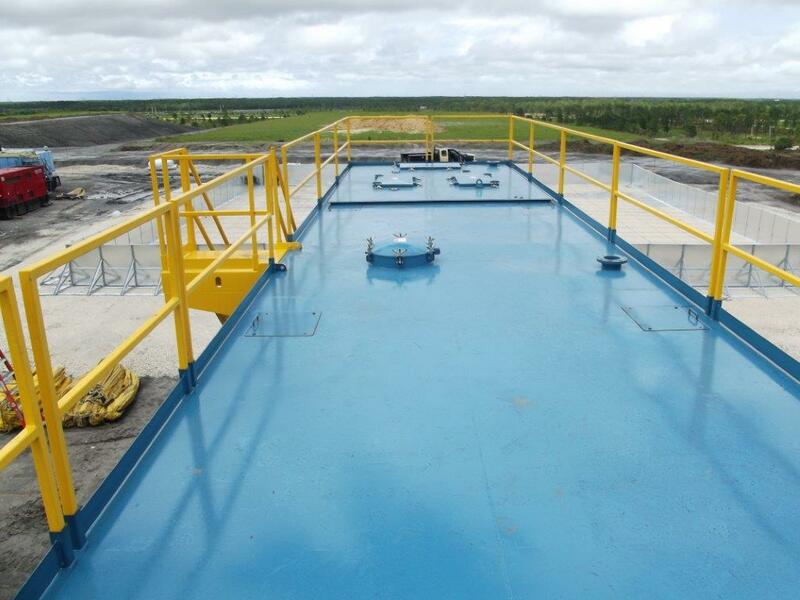 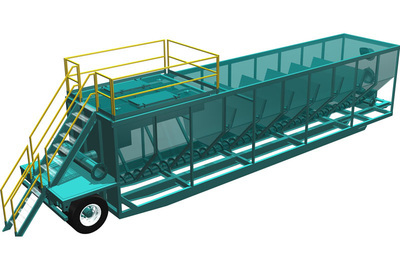 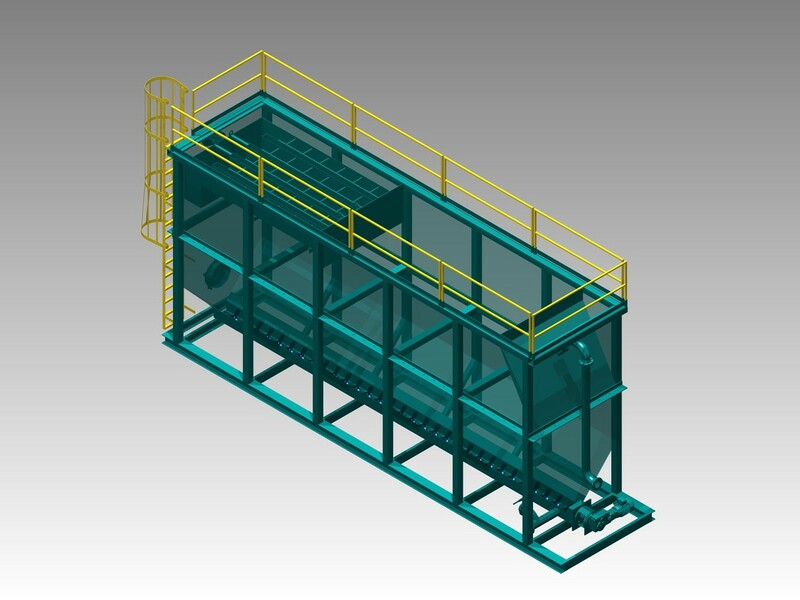 DEL has designed a versatile and mobile Clarifier & Thickener to handle the higher flow rates required by many dredging and dewatering projects with a total working capacity of 45,000 gallons. 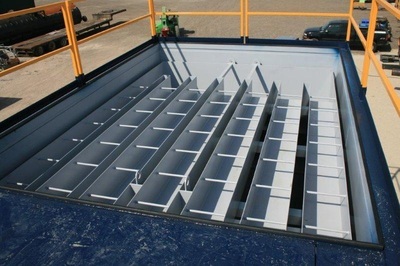 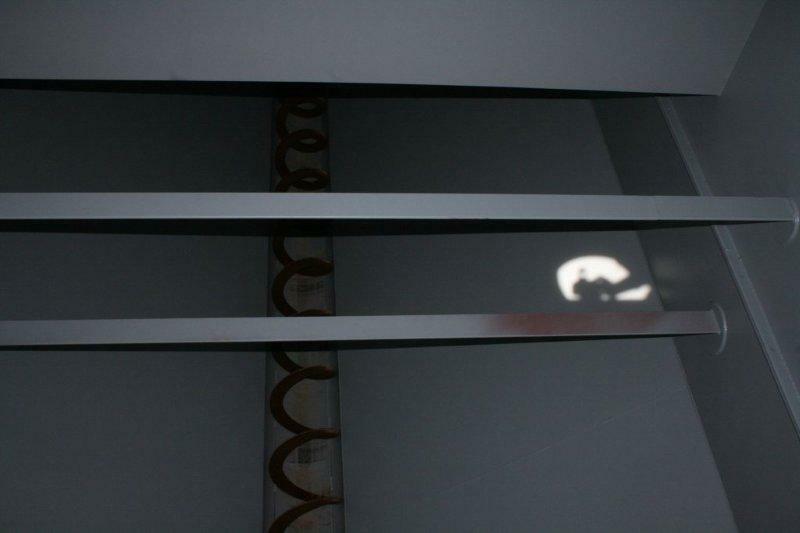 The tank is built in 2 sections, an upper and lower section, for ease of transport. The tank requires only 2 flat bed trucks and width permits for hauling. 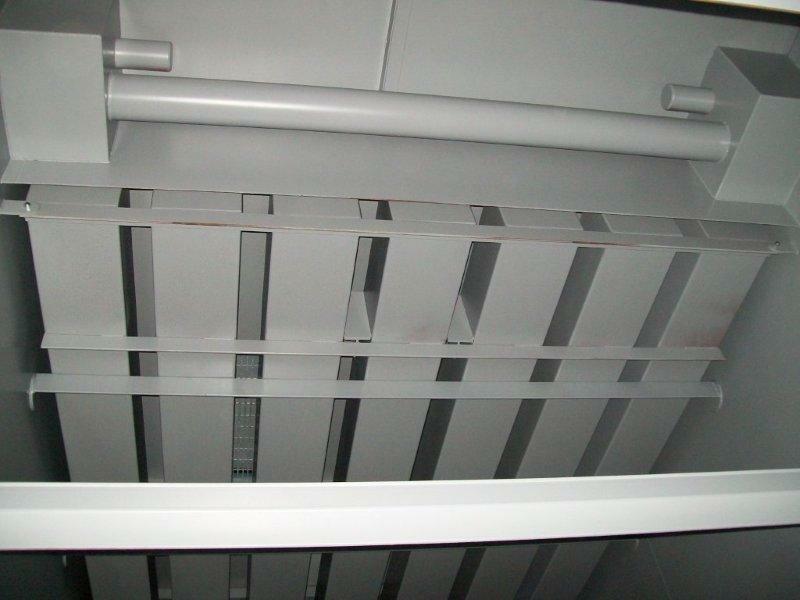 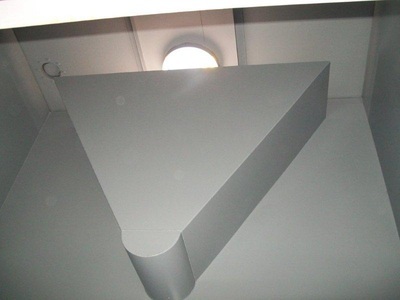 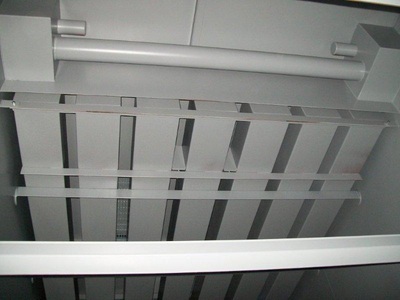 The flange joining the 2 sections together is designed for fast, leak free assembly. The tank can be unloaded and assembled on the job site and ready for use in a matter of a few hours. 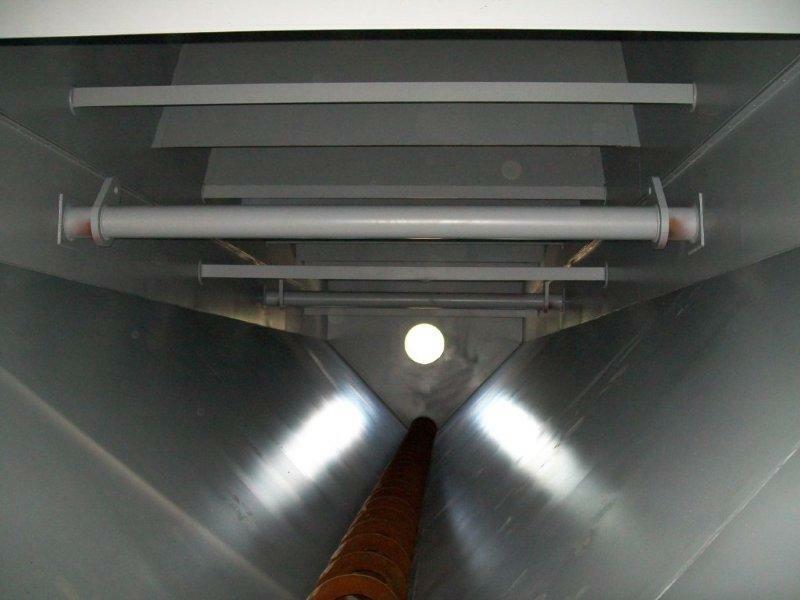 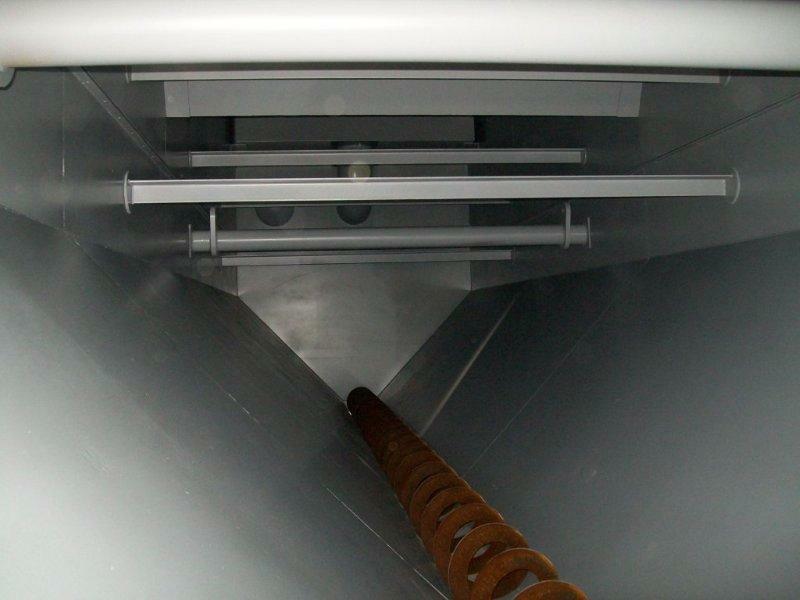 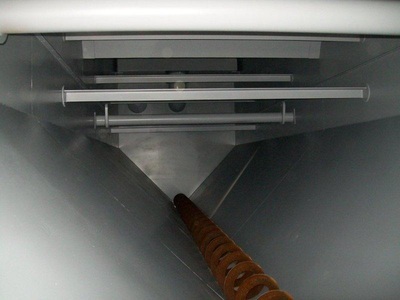 The tank is equipped with a tilted plate baffle system, settled solids conveyance system and effluent overflow trough system to provide removal of settled solids and discharge of a clean effluent. In most cases flow rates up to 3,000 gpm can be accommodated. 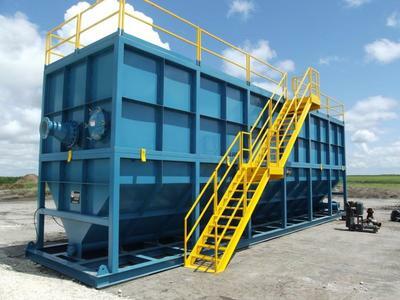 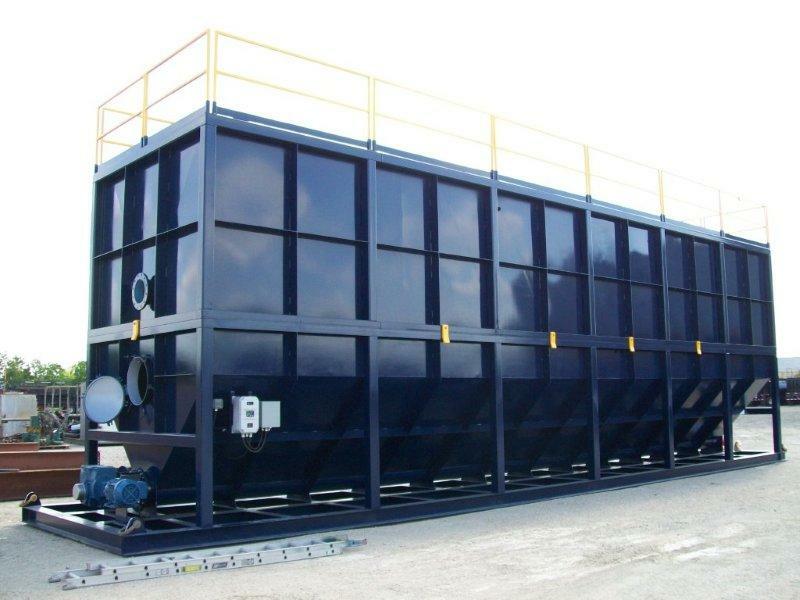 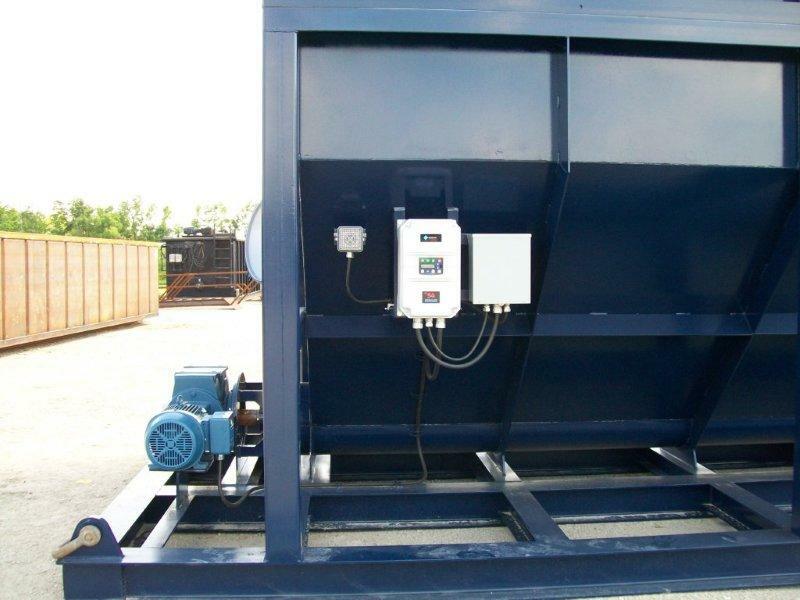 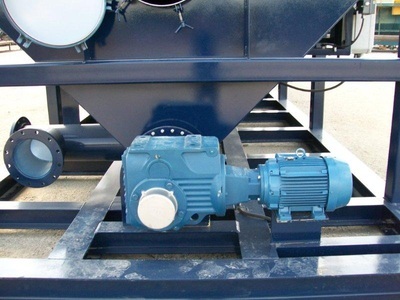 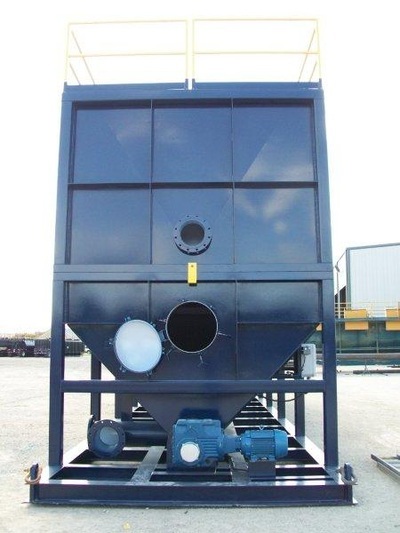 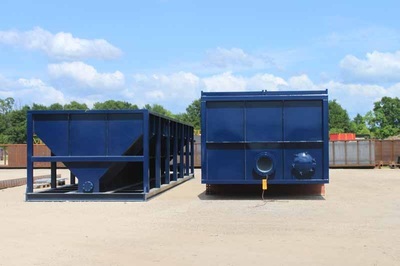 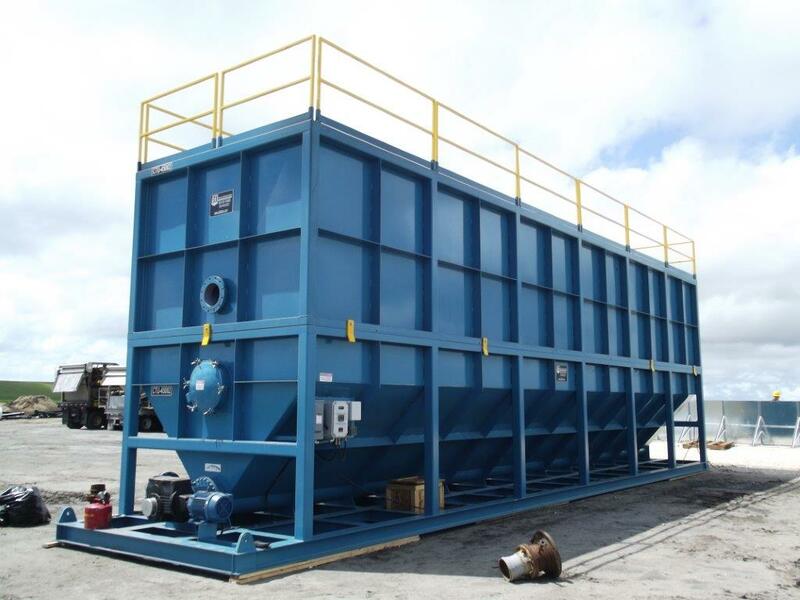 The DEL Clarifier/Thickener is ideal for dredge dewatering projects utilizing a Total Clean System and geotextile tubes, or any other combination of dewatering methods. 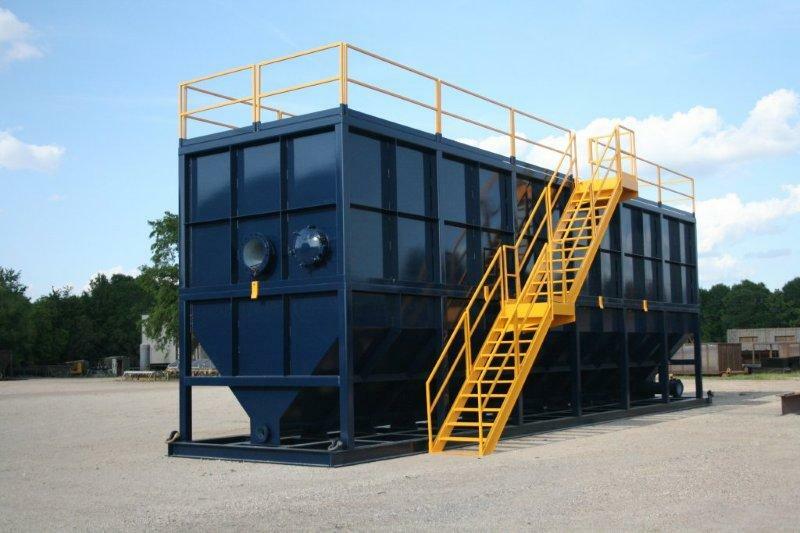 We have 10-12,000 gallon units, 20,000 gallon units and 45,000 gallon units available. 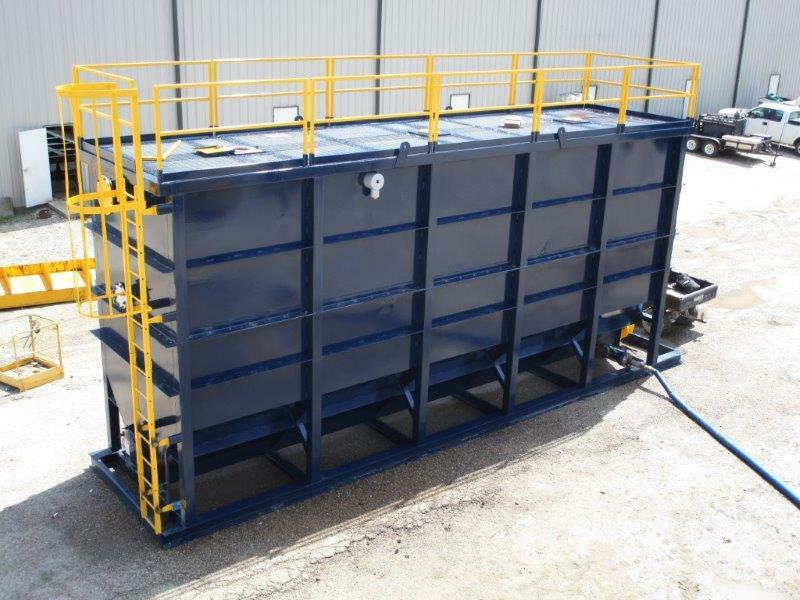 You can download our Clarifiers & Thickeners Brochure here or view the full PDF below.